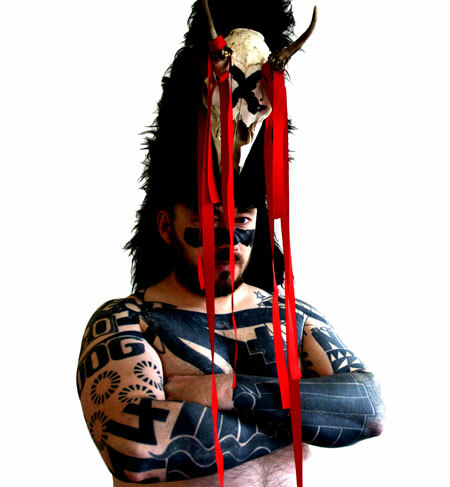 Warpaint, masks and animal skins. Light the fires. Witness Shakespeare’s ‘MacBeth‘ text cut-up and reworked to Black Metal standards and industrial percussion. Led by DRUM MAJOR RUSSELL MACEWAN of Ron Athey & Company (US) and doom-metallers Black Sun (UK) the ‘Korps bring highlander rhythms and industrial witchcraft to ‘MacBeth‘. A primal and visceral experience for the strong of heart and not to be missed. The showcase takes place on Friday 21st September 2012 at 6pm and 9pm at The Arches, Glasgow during the Arches LIVE festivities , more information can be found HERE. DRUM MAJOR RUSSELL MACEWAN is also holding participatory workshops in cut-up technique and industrial percussion: No previous experience required. Free Registration required. Cut-Up Technique: Scissors and paper cut-up method and electronics.